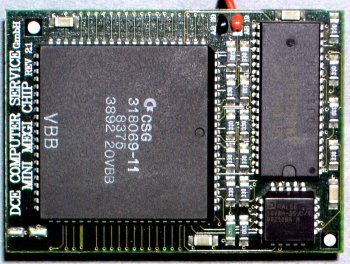 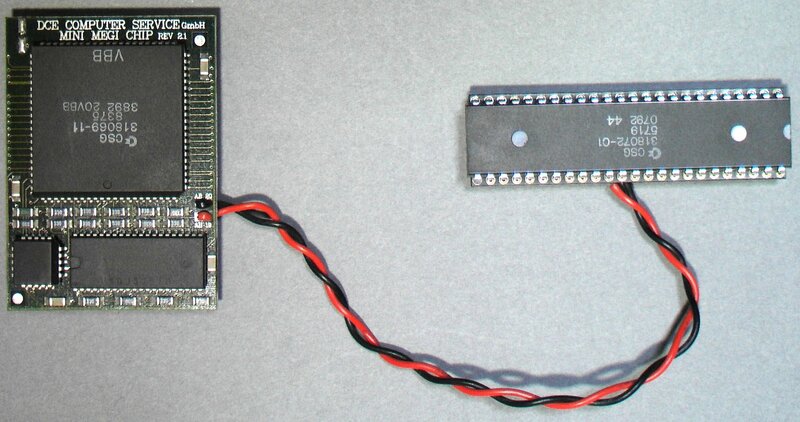 A RAM expansion designed to provide the Amiga with 2MB of CHIP RAM. 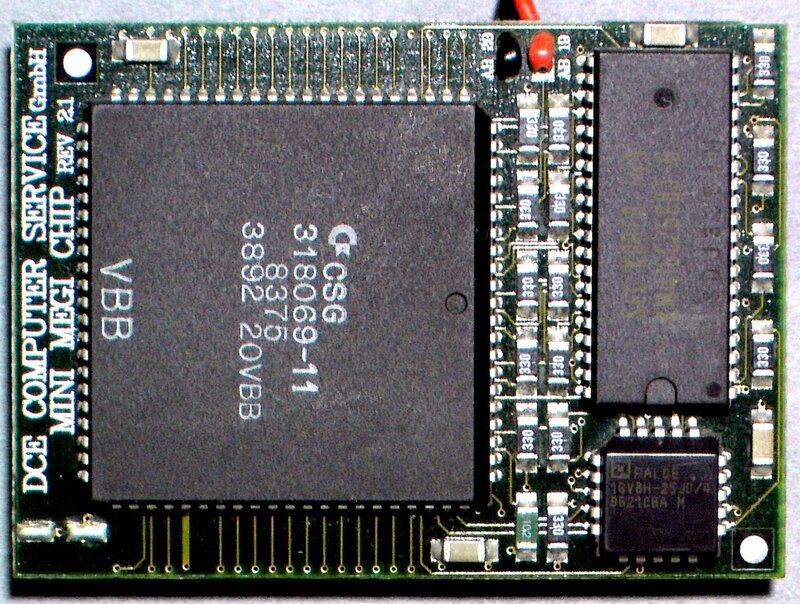 It contains an upgraded Agnus chip and is probably designed to be used with the A500 and A2000. 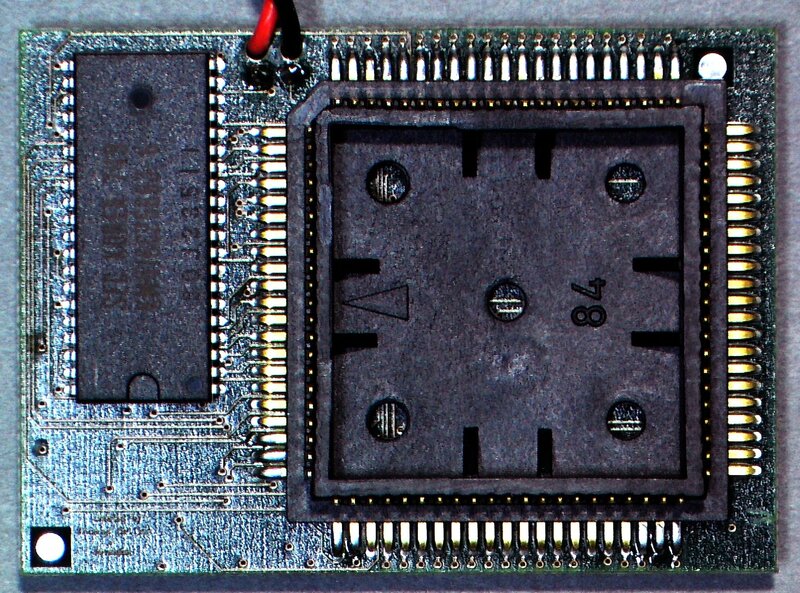 The main board sits in the Agnus socket, and is attached to a chip holder. 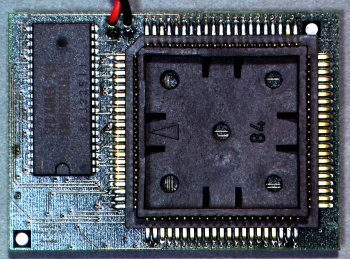 The Gary chip should be removed from the motherboard and inserted into this chip holder, which should then be placed into the Gary socket. 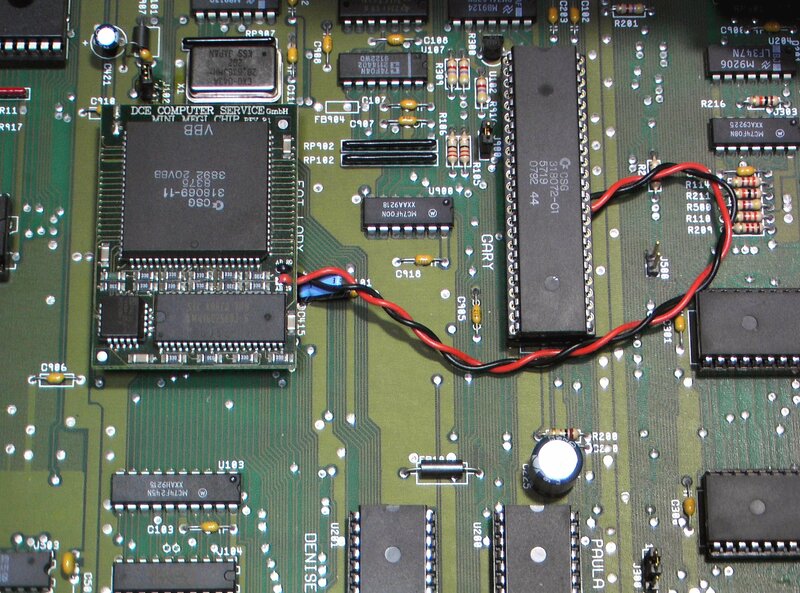 The main board is attached to the chip socket via a red wire (AB19) which connects to pin 35 and a black wire (AB20) which connects to pin 36. 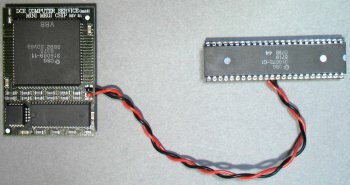 Page contributors: Andreas Stürmer, RiWa & Friends, Takahasi Kasiko.